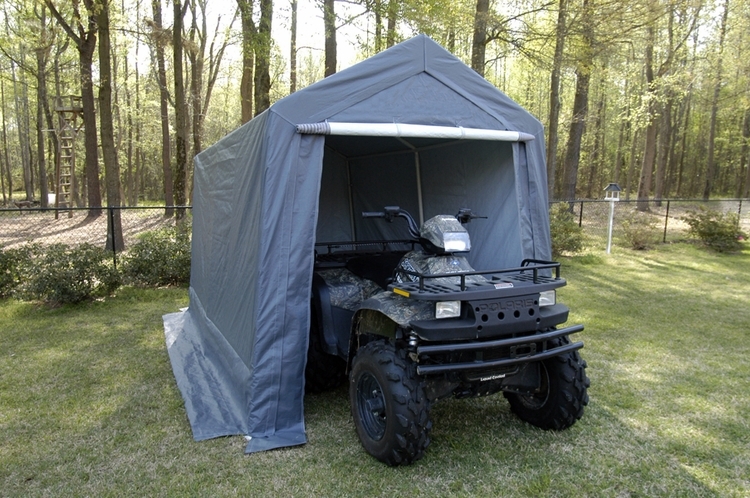 King Canopy Powder Coated Steel Frame Storage Shelters are meant to provide economical, temporary storage and protection for those small vehicles and equipment like, ATVs, lawn mowers, personal watercraft, garden equipment and much more. The shelter frame is constructed of heavy duty 1.375 inch diameter steel tube and powder coated white for lasting durability. Options are available for 1.5 inch steel tubing for added strength. 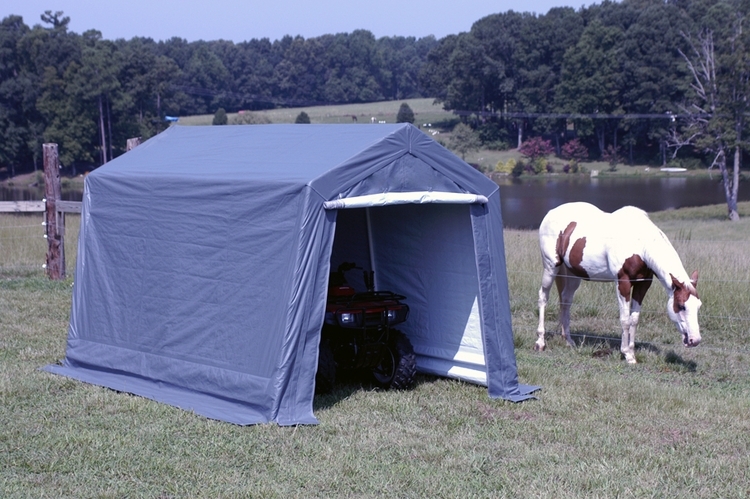 The 8 x 14 storage shelter includes the 1.5 inch tubing as standard framing. King Canopy shelters utilize a one piece custom fitted cover and front panel which fully encloses the storage unit. The top, sides and rear are all one piece and the front end wall with zippers attach with hook-and-loop fasteners that can be easily removed if not needed. The storage cover is a gray UV-treated polyethylene with white interior providing for improved visibility inside the shelter. With slip-in fittings the frame is easily assembled in less than an hour with minimal tools required. This is also a one year limited warranty on materials and workmanship.